DETROIT, Mich. – Michigan’s business leaders continue to forecast stronger growth for both the U.S. and state economies specifically citing the continuing effects of federal tax reform, according to the latest quarterly survey of Business Leaders for Michigan (BLM) members. 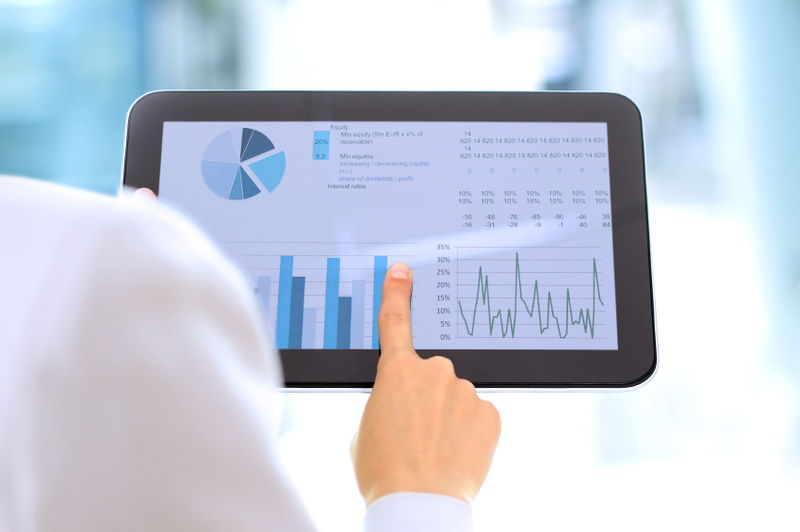 A growing number of survey respondents expect their companies’ capital investment in Michigan to increase (49 percent) or remain the same (43 percent) during the next six months. Fifty-one percent of respondents expect employment in Michigan to increase, while nearly half (46 percent) expect it to stay about the same. Next six months: The percent of business leaders (79 percent) having a positive view of U.S. economic growth over the next six months is still nearly double the end of 2017. However, 57 percent of respondents believe Michigan’s economic growth will improve during the same time period, down from 74 percent during the first quarter. BLM members attribute this to uncertainty about the outcome of the state’s election in November. Again this quarter, 100 percent of all respondents indicated the same or better/higher economic outcomes—absolutely zero percent envision weakness at either the state or U.S. levels during the next six months. 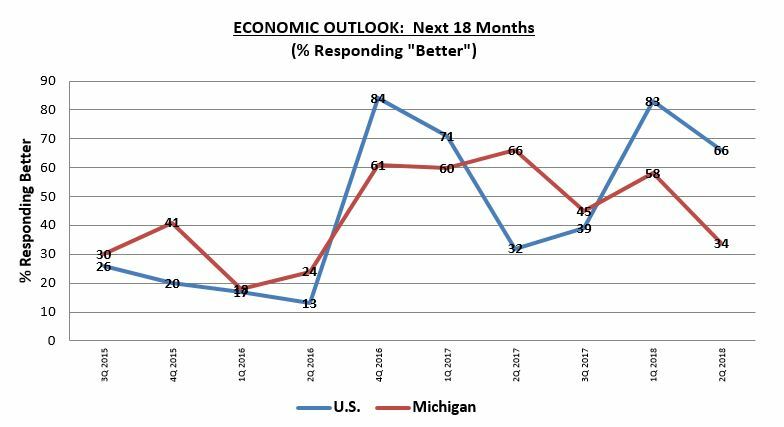 Next 18 months: Optimism about the Michigan economy over the long term continues to lag expectations for the U.S. All of the survey respondents believe the U.S. economy will hold or improve over the next 18 months. With respect to Michigan, just over a third of business leaders (34 percent) expect improvement, with 60 percent anticipating things will stay about the same, and 6 percent expecting a decline.